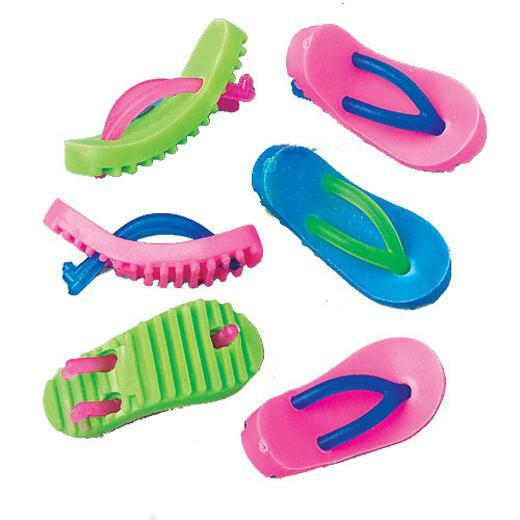 Cheap Mini Sandal Erasers - 144 Ct.
Great addition to any luau themed goody or loot bag! These sandals are sure to rub out any mistakes. Erasers are a fun addition to a goody bag or to hand out as a church or school carnival prize. Perfect for any luau party supplies list. 144 PIeces per unit. L: 7.0 in. W: 1.3 in. H: 7.55 in.